Pros With the unfinished hardwood floor you have the choice of hand scraping it or have smooth finish. Also allow the homeowner to finish the hardwood flooring with a stain that matches the decor. Do you need to match your new wood floor with an existing wood floor? If so, unfinished flooring is easier to stain and match. Unfinished hardwood flooring is available in more widths and wood species than pre-finished flooring and can be matched more easily to existing wood floors. Cons If in a high humidity area, unfinished flooring is NOT recommended at all. Unfinished flooring is typically the more expensive option.as it takes more labor to scrape and stain. Pros The multiple coats of finish applied at the factory give pre-finished wood flooring a durable wear layer and the finish is under warranty by the manufacturer. It is more resistant to humidity, making it suitable for climatic regions with high humidity or large variations in temperature, or when the sub-floor is below grade and more prone to moisture. Cons Over time, it is easy to forget who the manufacturer of the pre-finished hardwood flooring is, making it difficult to get an exact match if part of the floor needs to be replaced. There is also the possibility that your pre-finished flooring will be discontinued in the future and so you will be unable to order replacement boards. Pre-finished hardwood floors are harder to clean between the cracks, as they are not sealed at the job site like unfinished hardwood floors. Floor Care Maintenance of Hardwood floors is easy! New technology in sanding and staining and call for regular cleaning that requires more than sweeping and/or vacuuming, with occasional applying professional wood floor cleaning product. You would want to use a cleaning product that is recommended by your wood flooring professional. Hardwood floors are generally easy to maintain. Water is the worst enemy of hardwood floors. Your floors can warp and lose their luster if it gets wet and neglected. The best way to avoid problems is to clean up spills with a dry cloth and never use a wet mop to clean the floors. Keep floors dirt free with a broom or vacuum and only use cleaning products that are safe for wood floors. You can also extend the life of your hardwood floors by placing rugs in the high traffic areas. If you are moving furniture around the room, make sure you use felt gliders. Sunlight can also damage wood, so keep an eye on the parts of the floor that get direct sunlight. You can use curtains or blinds to limit the sun. If you take good care of your hardwood floors, they will last a lifetime and require only periodic refinishing. The best part of hardwood floors is that scuffs, scratches and imperfections can be sanded out every few years, so that your floors will continue to look like they were just installed. 1. 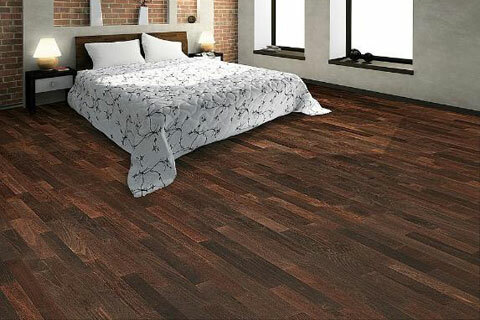 Know Your Option: People are usually surprised when they become familiar with various choices that are available for flooring. For instance, you may have to make decisions between solid or engineered wood. If you select solid material, then you need to make choices between different styles such as planks, parquets or strips. 2. Consider Various Type of Wood: Some wood are exceptionally durable while other types are softer. For instance, white oak and red oak are both famous for being strong, solid and dense. The oak wood flooring can last a lifetime of wear and tear. On the other hand, other type of wood flooring such as cherry wood is flexible and soft. Despite the fact that cherry wood flooring is not a good option for high-traffic areas in your home, it could bring style to your flooring if maintained carefully. 3. Choose Between a Variety of Floor Finishes: A finish is a top coat that guards the flooring from the common wear and tear as well as giving your floor its sheen and color. Hardwood floors may come with penetrating or surface finishes. The surface finishes are the most popular type. The surface finishes require a stain to get the preferred color followed by a top coat of varnish or polyurethane for protection. For penetrating finishes, the finish material penetrates into the wood deeper than the surface type. After the finish penetrates into wood, a wax is spread on the surface for low-gloss sheen look. Such finish requires the wax to be reapplied from time to time. In addition, only specific cleaners could be used on penetrating finishes. This is why surface finishes are more popular. 4. Price To Your Budget: Flooring is normally priced by total square footage. You should calculate the total square footage of the area of the flooring that you plan on changing. Regardless of your budge, you should always remember that you will have a return on investment by renovating your floor. Dumping the carpet for a shining wood floor adds great resale value to your home. 5. Select The Right Contractor: Picking a qualified contractor is vital. If your hardwood floor is installed poorly, you may experience numerous problems in the future. 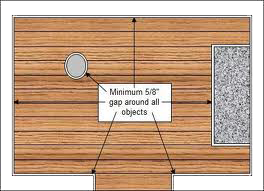 For example, you may witness visible space in between pieces or your flooring may not be level. Additionally, you may hear noises as pieces become loose due to terrible nailing job during the installation. Select a contractor who provides you with references as well as warranty of work for at least one year. The Joys of Hardwood Flooring: Getting hardwood flooring can be one of the best investments that you can make towards the place you living in. 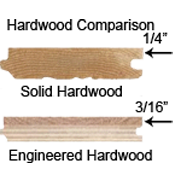 With Home Platinum Services, you will get the entire spectrum of installing new hardwood floors. You can choose from variety of solid hardwood like Oak, Maple, Cherry, Walnut, Hickory and much more. Solid hardwood is our signature specialty. Solid hardwood flooring looks elegant and easy to restore to its original shape and look. If you are working on a tight budget, engineered hardwood flooring can also be considered and serve your purpose well. You will get to choose from a variety of designs and colors in any showrooms these days. This type o hardwood flooring is also easy to clean and maintain on a daily basis. Our dust-free installation will take care of your cleaning woes. One of the major reasons why hardwood flooring is relegated to the back burner is the price. Some people feel that this is an expense that they would rather delay on as long as possible. However, this notion is as faulty as it can get the house looks shabby and old. People might trip on loose ends of board sticking out. Moreover, cleaning old wood is a major hassle. They tend to attract termites & before you know it, you will have a serious problem on your hands. A little investment in hardwood flooring will go a long way in making your home look cozier and comfortable to live in. Take our free home estimate and you will know what the bills will be. If you have already a solid hardwood in your house, there is an easy option of refinishing your hardwood flooring. In most cases, real solid hardwood flooring can be sanded down to bare wood and refinished. This method is very cost efficient and can save you a lot of money. When the hardwood floors are refinished you will get the original look and beauty back. Some might feel because they are going to sell their house, they will not need to install or refinishing hardwood flooring. That is again barking up the wrong tree. Elegant hardwood flooring will help you attract new buyers. They will be impressed with your flooring and the shine that it adds to your house. You will find it easier to convince them into picking up your property. In these cases, you are also up with an advantage. You can enjoy the new hardwood flooring when you are living in the house and finally when you sell it, you will get a better price for it! It is a gain for both ends. Bottom line, hardwood flooring has high rate of return on investment. Unlike some other type of flooring Hardwood flooring also tend to last for years. Once you have invested in quality hardwood floors, you can rest easy for years. With Home Platinum Services, you will get 1 year warranty and your floor will be fully insured. Home Platinum Services is one center where you can get all you need for hardwood flooring in Frisco. We are truly your one-stop shop for all kinds of hardwood flooring, no matter what kind of wood you want to use. We will help you from scratch so that you do not have to worry at all. The team will draw up a blue print for your flooring, complete with budget and a deadline. Once you approved the blue print, work will begin by qualified installers. We will take care of every aspect, including the raw materials needed. All you have to do is sit back and relax and enjoy the durable hardwood flooring that will stand out and brings beauty to your home again.